Has any body seen an update on the date that iPlayer will be available. We are on the 10th May after all ! We bought Samsung UE40ES5500 yesterday. It's June!! Where is iPlayer?! 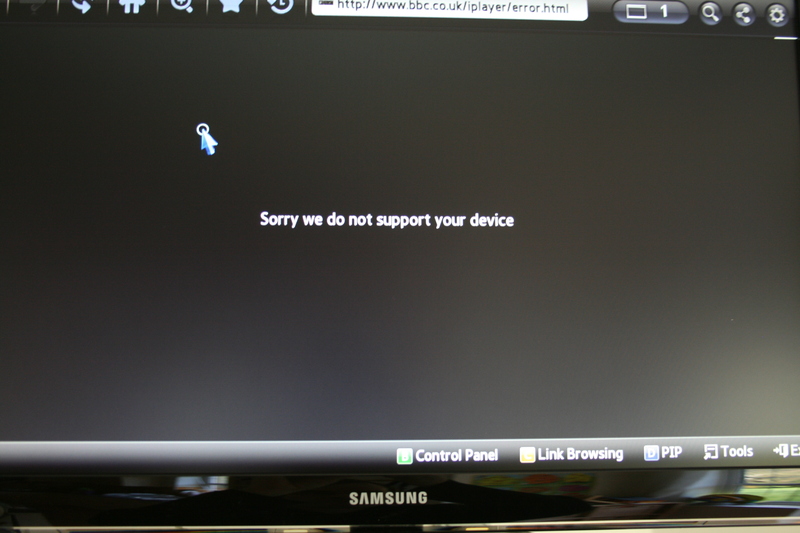 i also have an ES series tv and i emailed samsung about the iplayer and received the back on the 23 April. 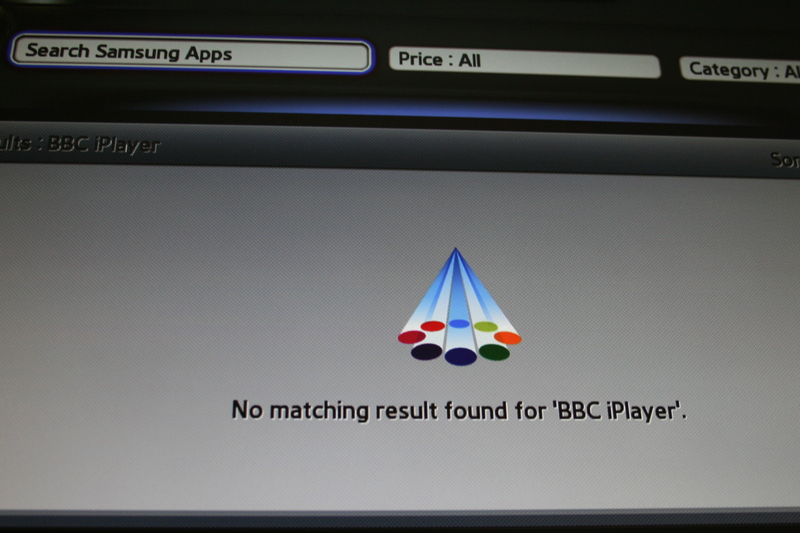 BBC are currently working on an update to enable this television to view BBC iPlayer and as soon as this is developed Samsung will release a Firmware upgrade. I can understand how this is probably not what you wanted to hear in response but it is not a case of the television not getting this application but rather it is only a matter of time, thank you for your patience. How many months more? Who knows! There is a similar problem with the Philips 32pfl3517t that I bought from John Lewis in Wewlwyn GC a few weeks ago. YouTube is integrated but IPlayer isn't. Can't imagine why ;-). When we visited the branch, the staff in the Welwyn electronics department didn't help us much, they seemed to prefer Panasonic, but couldn't really explain their preference. It is very frustrating to be dealing with sales staff who seem to know less than you do! Arrogant? Maybe. (I'm a chartered engineer,and have worked in IT since 1967). Some companies take the trouble to make sure their staff understand fully the products they sell. Others seem not to care! John Lewis has the reputation if a caring supplier and employer, but even in their stores from my experience customers who are knowledgeable seem to be at a disadvantage. I don't mind passing on useful knowledge to people who care, but......why should a customer have to educate sales staff who show no interest or (even worse) bias? Perhaps the problem is "Managers" who know how to occupy an office and take an increase in salary, but not how to manage?